Please keep us notified of deceased members. Use the e-mail link above, or the address on the contact page. A 'G.S.' next to a name denotes a Golden Sheaf (50 Year) member. MARCH 5, 2019 -- Let us pause as we remember those who have passed to the great Grange above. FEBRUARY 6, 2019 -- Let us pause as we remember those who have passed to the great Grange above. JANUARY 5, 2019 -- Let us pause as we remember those who have passed to the great Grange above. DECEMBER 5, 2018 -- Let us pause as we remember those who have passed to the great Grange above. November 7, 2018 -- Let us pause as we remember those who have passed to the great Grange above. 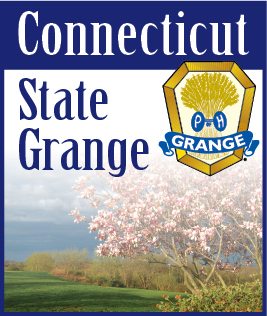 Connecticut Grangers remember Henry Kulisch, Jr.